Another kind of blockade was lifted in Berlin today. 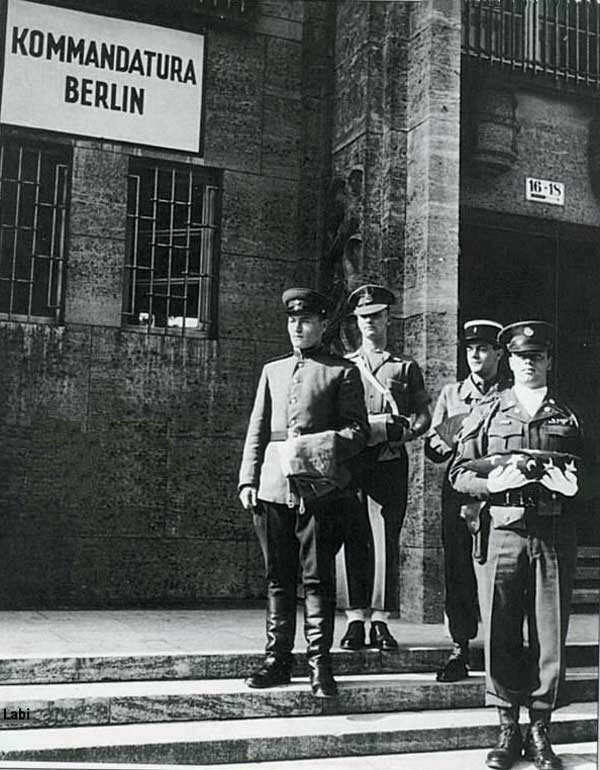 The American, British, and French commandants for Berlin made it clear that the Soviet military government would no longer be able to exercise its veto power over the Berlin city government if and when the Russians return to the Allied Kommandatura directing occupation of this city. This announcement came when the three Western generals presented the occupation statute to the West Berlin government—a document defining the relationship of the occupation powers to the Berlin city government. In the past, German city authorities had to get unanimous approval of the four victorious governments in advance of any actions taken in governing the city. This, in effect, gave the Russians a veto power on any legislation by the city government, which in turn allowed them to establish a kind of "political blockade" on any democratic policy and at the same time allowed them to promote the party line of the German Communists here. Today, with the "little occupation statute" in force for the Western sectors of the city, the occupation powers now only rule on city government in terms of the security of our occupation. We have the right to overrule any acts of the Berlin city government, but only if we think they threaten the peace. General Geoffrey K. Bourne, British governor of Berlin, said that this statute would have to be accepted by the Russians if they want to return to the Allied Kommandatura and a four-power unified government of the city. There are four-power talks, however, going on today on a different level. Economic authorities of the three Western Powers are meeting with the Russians to iron out details of restoring trade between East and West Germany, about which there has been some confusion. The main difficulty is the interpretation of the blockade-lifting agreement and trade contracts. However, the trains have been coming into Berlin. The British announce that thirty-nine trains have arrived or are en route to Berlin from their zone since midnight Wednesday and that twenty-six other trains are awaiting clearance. Throughout the city, one can see trucks from Hanover, Hamburg, and Frankfurt. And to give you an idea of what is happening to prices: during the blockade, fresh herring—if available—cost five marks a pound. Today, long lines of people formed to buy herring at seventy pfennigs a pound.